To butcher a well-worn phrase, ‘With great power comes great frustration’ – at least that’s the case when wrestling with Conky, the versatile system monitoring tool for Linux. On the one hand it’s super featured and highly versatile, on the other it’s a pain in the rump to configure. Conky Harmattan, a new collection of themes from deviantArt user Zagortenay333, is no exception to this rule. 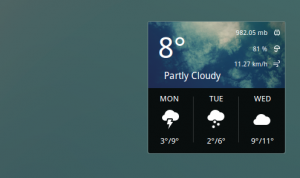 Whilst the screenshots show off a stylish desktop widget that’s sure to impress most who see it, the effort needed to get it running will scare many of those people away. To help, its creator has included a thorough step-by-step guide to installing it and, for when things don’t quite appear as planned, ahelpful “troubleshooting” file lists fixes for some of the most commonly encountered issues. Unlike most Conky themes, Harmattan doesn’t require you to jump through lua rings hoops to replicate on your screen what you see on others’. By default Harmattan is “fixed”; you’ll need to hold down Alt then click with your mouse to move it around. Alternatively adjust the ‘x’ and ‘y’ gap values in the conky-config file during setup – another tick in the “faff” column! Also, don’t forget to change the Yahoo! 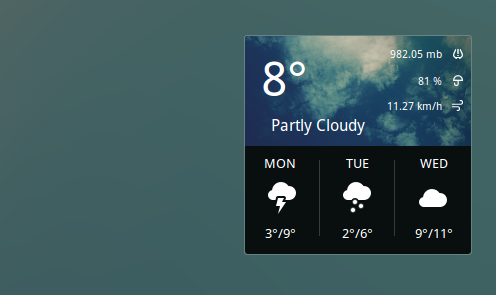 weather code in the .conkyrc to get an accurate forecast. 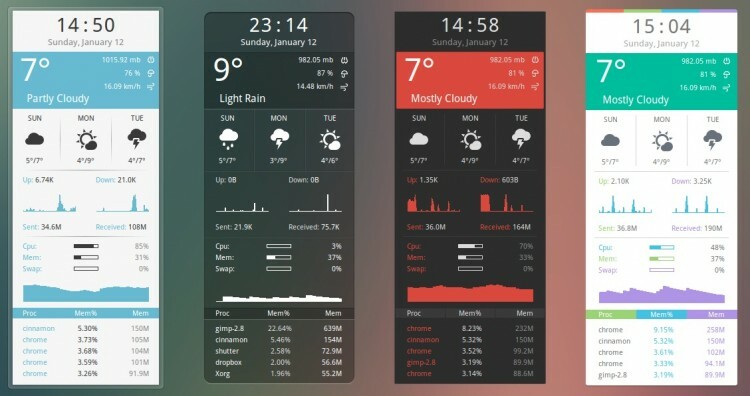 To use this theme you’ll first need to install conky-all and curl from the Ubuntu Software Centre. Without these some features may not work. Next, to download the theme head on over to the author’s deviantArt page. After extracting the Harmattan package archive, press Ctrl+H in the Nautilus file browser to view ‘hidden’ files. Lastly, fire up the ‘Installation’ read me and follow the advice.